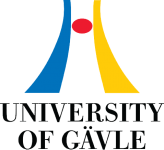 University of Gävle has approximately 15 000 students, more than 50 study programmes and second-cycle programmes, about 500 courses in humanities, social and natural sciences and technology. Built Environment and Health-promoting Working Life are the general research profiles of the higher education institution. Important parts included are Spatial Planning with a specialisation in Sustainable Built Environment and Musculoskeletal Disorders with the purpose to prevent work-related injuries. In 2010, the higher education institution received permission to carry out third-cycle programmes in the profile area of Built Environment and in 2012 in the profile Health-promoting Working Life. Earlier than the more traditional universities and higher education institutions, we have adapted the programmes to the demands of the market developing new types of teaching e g different forms of distance education. Today, University of Gävle is one of Sweden’s leading higher education institutions when it comes to distance education. Can vision problems cause musculo-skeletal complaints and vice versa? This is a key question for anyone who works in front of a computer screen every day. Together with research colleagues at the Karolinska Institute, Uppsala University, and in the U.S., Associate Professor Hans O. Richter at Gävle University College has recently shown that when the tone is reduced in the focusing muscle of the eye, nerve impulses to the neck and shoulders are also affected. Now the team wants to go on to investigate the connection between eye problems and neck and back complaints in a cross-disciplinary study.